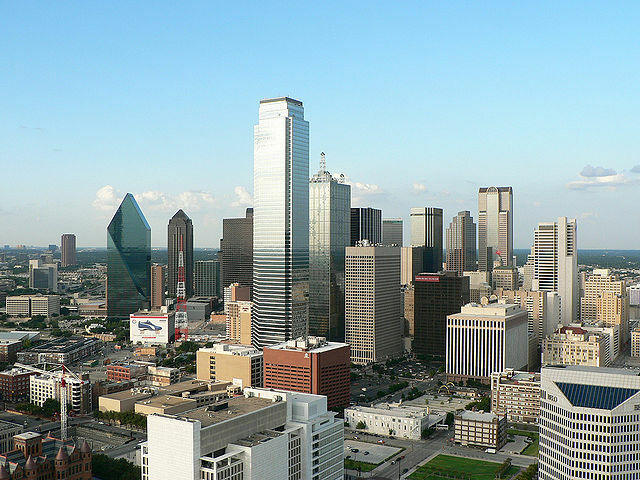 “Dallas Downtown” by fcn80. Licensed under CC BY-SA 2.0 via Wikimedia Commons. Several of the Dallas City Council members argued that the bag fee was government overreach. Several other council members argued that consumers were beginning to change shopping habits. The presence of the Plastic Bag Monster™ did not persuade council members.